We are all aware that maintaining a positive brand image in todays’ marketplace is becoming more challenging as consumers needs and wants change. Consumers are not really all that impressed with a majority of companies and are flocking to Google or Facebook reviews for all kinds of disappointments. It seems to be the bad experiences that get the most attention. These may be genuine upsets such as a customer service representative being rude or an undercooked meal at a restaurant. Then there are the people that have too much time on their hands writing a review on a minor issue like the avocado in the avocado smash was a little too green or the coffee was a little too hot this time round. The current state of play is that consumers are in love with themselves. It only takes a few minutes shuffling through social media to see that most people are broadcasting what they consider newsworthy to whoever will listen to them. They are becoming masters of their own universe and want to report on just about everything they have done that day. The power has shifted to the consumer and that is generally a good thing for most of us. It means we all have more choice and say over the goods and services we like. It makes businesses more accountable. Customers want to talk more about how they feel and we want to be listened to as an individual. Everyone has become way too clever for the mass marketing approach. How can we make our customers love us? If we provide consistent positive experiences and give them a little bit of the wow factor on top, customers will want to have repeat business with us and hopefully (fingers crossed) recommend us to others! The sure-fire way to provide consistent customer experiences is to empower your staff to make informed decisions. Make it simple for them and show them that you trust them to live by the company’s values. Reduce wait and call times and encourage open and honest feedback from your customers to see how you are going. Make sure your staff are continually happy with the process too. Internal surveys are just as important as the external ones. Keep them engaged and happy and the flow-on effects to your customers will be immense. Remove any barriers that stop your organisation from delivering quality customer service and create a sense of urgency in making the customer happy. Generate the quick wins and raise the bar on negative experiences. So, consistency being number one priority, how do you then give them that extra wow factor. Many companies manage to master the consistency but then forget to go that extra mile and really do something special. Make the customer feel important and valued. The idea I would like to discuss today is branding prepaid cards. 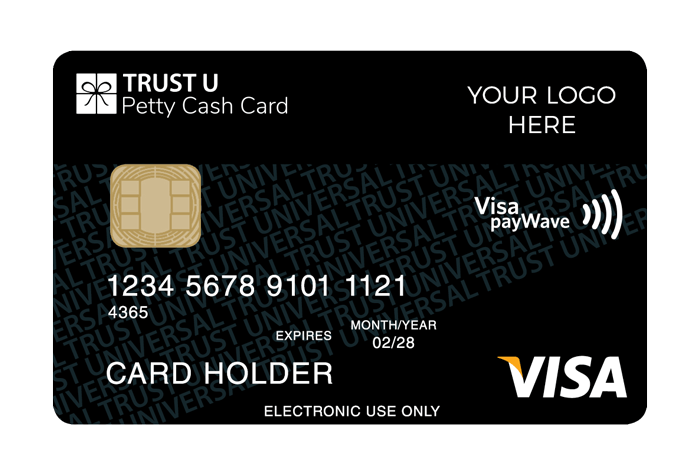 As I work for a company that offers these prepaid cards to many of Australia’s top Blue Chip organisations, I can say with confidence that they work wonders for positive brand recognition. Providing your customers with one of these lovely prepaid cards to thank them for their loyalty and business with you is such a nice gesture and what’s more, if you brand them with your company’s logos and designs, they will be reminded of you every time they open their wallet. You may also consider using the cards as part of your referral program. Identify the customers that are loyal to you and that would recommend you to their friends and colleagues. 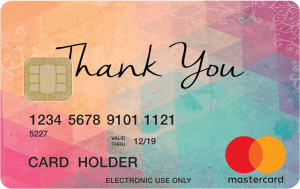 The prepaid cards are an ideal incentive to offer as a thank you for referrals and showing your brand a whole lot of love. Corporate Prepaid Cards is a 100% Australian owned company specialising in the provision of prepaid Mastercard, Visa and eftpos cards to corporates for staff recognition programs, as well as customer acquisition and retention programs. You can fully brand your cards with your company logo and designs or you can simply just add your logo to one of our existing designs. You can also just select from our large range of gift card designs if you prefer. Find out more about how our prepaid gift cards can help get your Brand a whole lotta Love here.